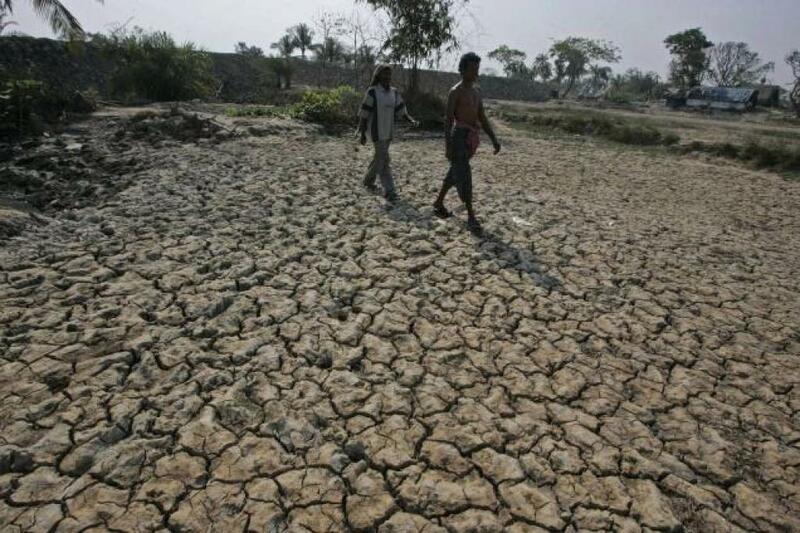 The Kerala government today declared drought in all the 14 districts of the state after experiencing a sharp dip in rainfall during the southwest monsoon. The districts are facing severe water scarcity. While making the announcement in the state assembly, the Minister for Revenue, E Chandrasekharan, said that even 100 per cent rain over the next two months will leave the state with about 30 per cent deficit in its water reserves. The Pinarayi Vijayan government will approach the Centre for necessary assistance. “According to IMD figures, there has been a 34 per cent decline in rainfall during the southwest monsoon. There has also been a sharp decrease in rainfall during northeast monsoon,” said Chandrasekharan. The state received 1352.3 mm rains from June 1 to September 30, as against the normal rainfall of 2039.7 mm. Kerala witnessed normal rainfall till the middle of July, but received scattered rains till the end of September. The state recorded 25 rainy days from the onset of monsoon in June to the middle of July. After that, it saw only 17 rainy days till the end of September. The state receives a large share of its annual rainfall during southwest monsoon. It depends on the August-September rainfall to meet the water needs of the people during the dry period—from January to April. According to IMD, Thiruvananthapuram Director S Sudevan, “Water level in the dams has fallen by 40 per cent as compared to last year.” The data on reservoir storage as of October 13 shows that the storage level of four out of the six reservoirs is less than that of 2015. They are also less than the last 10 years’ average. Periyar and Malapmuzha reservoirs are the worst hit. Wayanad, Thrissur, Malappuram and Pattanamittia were the worst-affected districts during the southwest monsoon. Listing out the measures planned to tackle the drought, Chandrasekharan said that the government has created 26 guidelines to address the drought situation. All district collectors have been advised to follow the guidelines that include steps to reduce the usage of water, recycle used water and set out priority for water usage. For farmers, who are reeling under crisis, the government has decided to declare a moratorium on recovery of agriculture loans they had taken.